Tear-shaped(? ), slightly concave discus has design in low relief and sharply raised rim. Design depicts jeweled Christogram with double outline and reverse loop on rho. 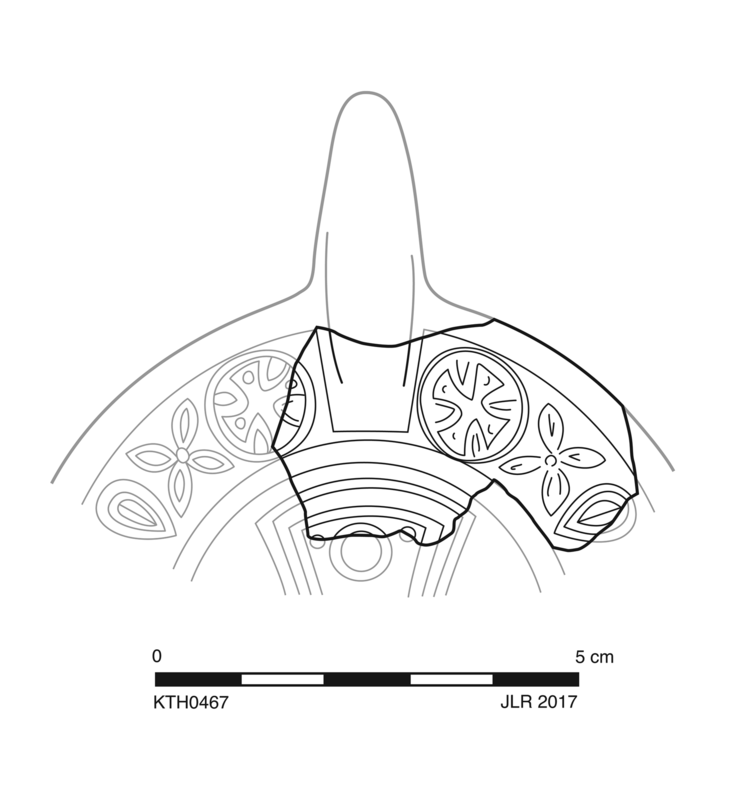 Shoulder with rounded rim has broad groove with three motifs preserved in series from top: dotted cross in disc (Bussière-Rivel Dm 5), grooved and dotted quatrefoil (Bussière-Rivel Fd 2/3), grooved almond (Bussière-Rivel Ga 6). Narrow handle extends down to discus rim in front. Decorative details are fine and sharp. Fabric: 10R 5/6, red. Slip: 2.5YR 5/8 red. Late Roman African fabric: note small, very rare, subangular to angular, black rocky inclusions and very rare calcite and quartzite. Semiglossy, thick, even slip preserved in large patches. 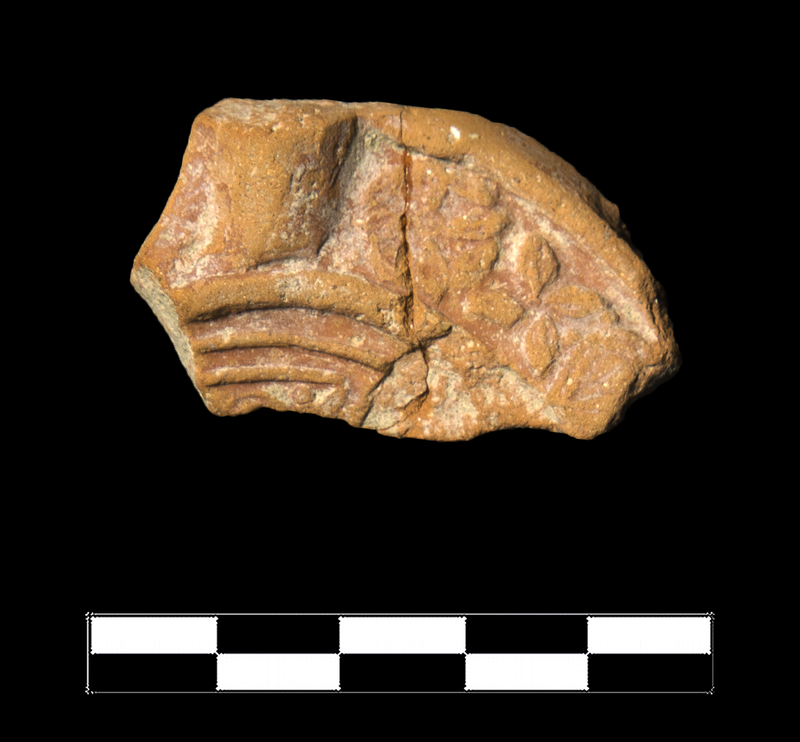 Two joining fragments preserve small part of upper discus, shoulder, and upper handle. Moderate, extensive abrasion; very slight, very sparse encrustation.